Vanderlande will showcase its next generation of scalable solutions for the fashion, food and general merchandise markets at LogiMAT 2019. The company’s evolutions have been specifically designed to meet the challenges facing ecommerce and omni-channel warehouses. Visitors to LogiMAT will be able to learn more about Vanderlande’s latest instalment of ADAPTO. This unique 3D automated storage and retrieval system (AS/RS), with built-in sorting and sequencing capabilities, is an important aspect of Vanderlande’s FASTPICK and STOREPICK evolutions. 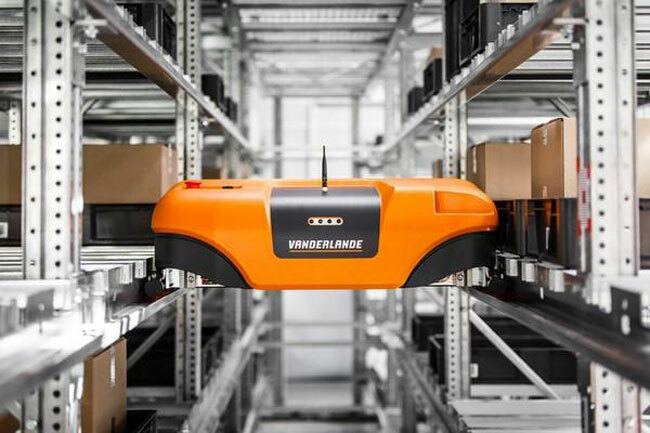 In addition, Vanderlande will showcase ‘bin-to-bin’ and ‘bin-to-belt’ item picking at LogiMAT, as well as Smart Item Robotics (SIR). The latter is a low-risk automatic item picking solution based on a collaborative robot (or, ‘cobot’) that can safely work together with operators. This revolutionary new cobot handles dynamic product ranges without the need for SKU teaching. Vanderlande will be exhibiting at stand 1J21 in Hall 1 at LogiMAT, 19-21 February 2019, Stuttgart Trade Fair Centre. Vanderlande will also be co-exhibiting with sister-company Toyota Material Handling Germany in Hall 2 - stand A05 - where the TRAYSORTER, a solution for sorting flexibility, will be showcased.